As parents, we have so much to think about, worry about, and learn. We are bombarded with information from news, research, and social media that can be overwhelming and confusing. It sometimes makes us wonder if we’re doing too much or not enough in our mission to raise healthy, happy kids. 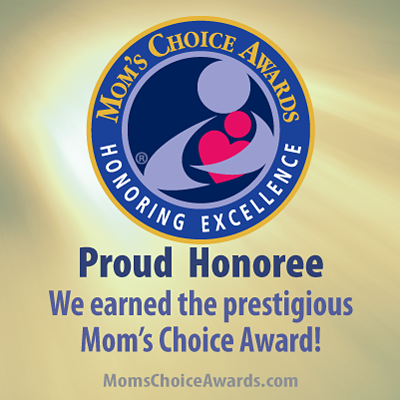 So isn’t it great when you get a big thumbs-up for something you’re already doing as a parent? You’ve talked to your baby in a funny voice, right? You’ve also stretched words out and carefully articulated them to help your baby understand and learn them. You’ve probably even exaggerated the tone of your voice to show different emotions through your words. New research out of the University of Washington confirms that you are on the right track! The study, from UW’s Institute for Learning & Brain Sciences (I-LABS), shows that it’s important not only thatyou talk to your baby but howyou talk to your baby. It seems that this use of “parentese” has a powerful impact on infants. More than just baby-talk, parentese is grammatical language using real words and accentuated tones of voice that “helps babies tune in socially to their parents and motivates them to talk back, even if that just means babbling,” according to an article about the study on University of Washington News. The research shows that babies who are exposed to this type of speech develop strong language skills themselves. 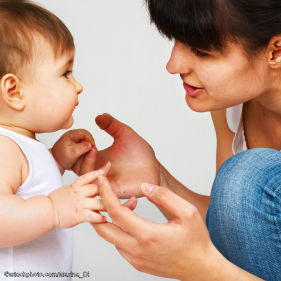 When parents participating in the study were coached in using parentese, their children learned to talk earlier and with a larger vocabulary than babies whose parents did not speak this way. Parents are a child’s first and most important teachers, and we are happy to show they can have an immediate positive effect on the growth of their child’s language. 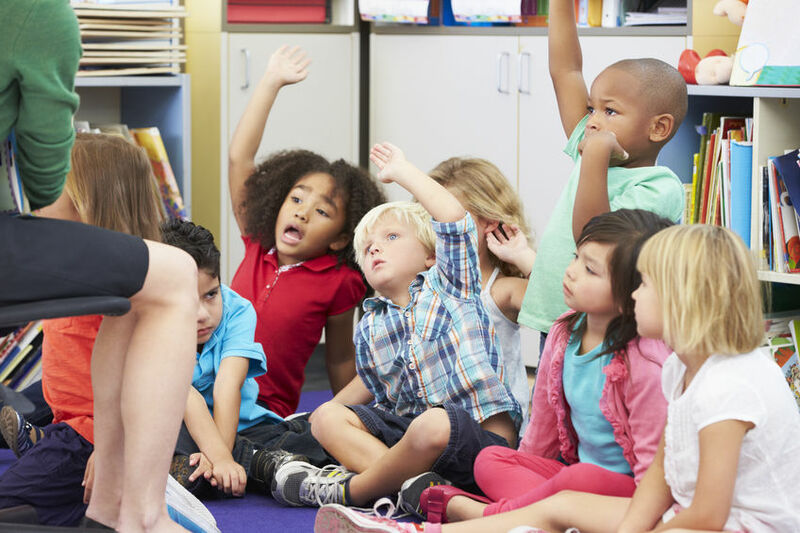 Early language skills are important predictors of a child’s learning to read and of their success in school, and parents can directly affect their child’s outcomes in this way. Supercharge your parentese: read aloud! If you’ve looked around The Reading Womb a bit, you’ll be aware of the explosion of research and advice about early literacy—reading to children right from birth—that’s become available to parents in recent years. This practice, advocates say, stimulates early brain development and helps build important language, literacy, and social skills. Sound familiar? Well, just like parentese, reading aloud is something that many new parents have to learn. 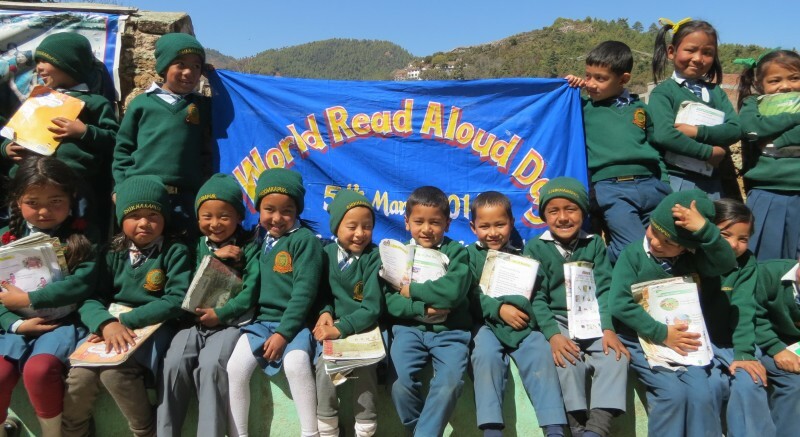 After all, most adults haven’t read aloud since they were kids themselves! Fortunately, you have so many great teachers to turn to. Jim Trelease, author of the long-bestselling Read Aloud Handbook, created a list of “Do’s and Don’ts for Read Alouds.” Right in line with the findings on parentese, Trelease suggests, for instance, that parents use plenty of expression when reading.You can use your voice to reflect the meaning of the text: a soft voice for gentle characters and touching scenes, a loud voice to show strong emotion or to emphasize drama and excitement. Also, adjust your pace to fit the story: read slowly to bring attention to beautiful language and imagery, and more quickly to show movement and action. 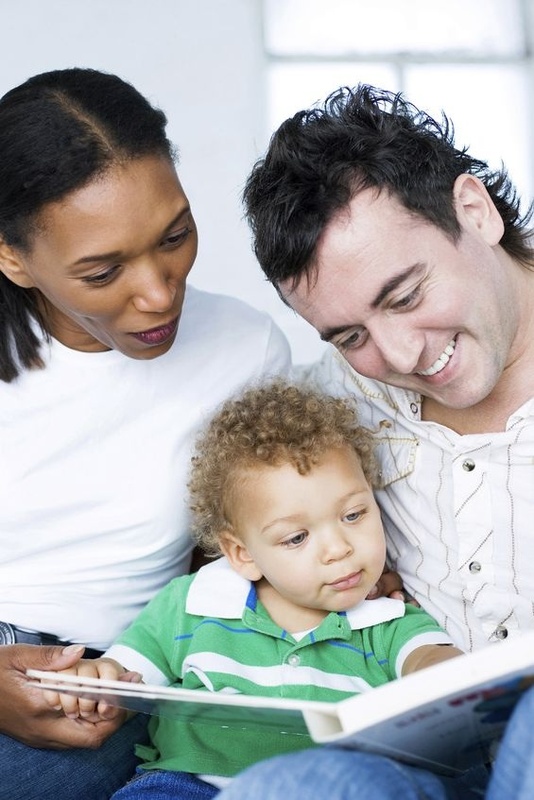 Reading aloud to your baby can be the perfect way to practice using expressive language in all your communication with your child. So, if it takes some practice to develop a comfort level with reading aloud and speaking parentese, what better time to start than before your baby is born? In the final weeks before baby arrives, her ears are already fully developed and her brain is able to discern varying speech patterns. This time of expectation, before your life changes so dramatically, is the perfect time to get used to reciting bouncy Dr. Seuss rhythms and silly Sandra Boynton rhymes. By the time your baby is born, you’ll already be fluent in parentese! This is also the time to make bedtime stories a nightly routine that you’ll look forward to as much as your new baby will. After a period of practicing reading to your baby in utero, you’ll fall into a storytime routine that’s comfortingly familiar—even to baby, who’s been listening avidly from inside the womb—and it will become a cherished family ritual with lifelong rewards. 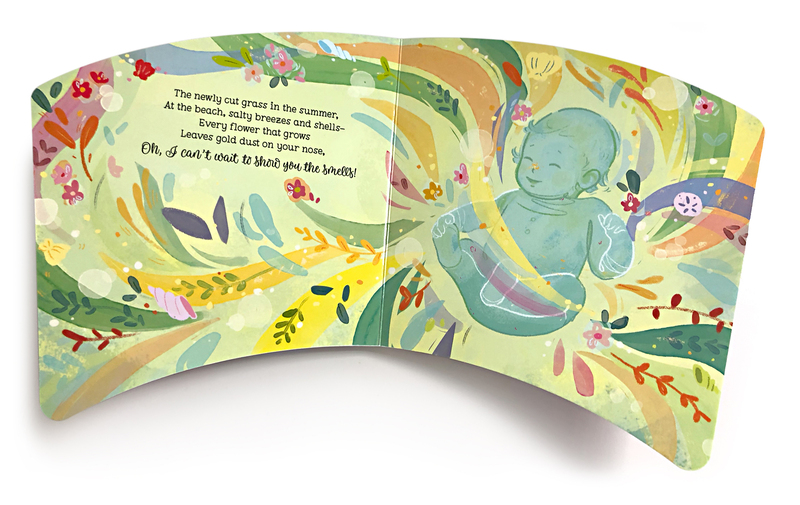 All the benefits of reading aloud to children and babies, combined with the wealth of scientific support for reading to babies in the womb (check out the links on our Research & Information page), make it abundantly clear that it’s never too early to read to your baby! Remember, you are your baby’s first and most important teacher. By modeling enthusiastic and expressive speech, you are setting an example for your child’s own language development—before birth and after! If you’re a new family hoping to add another member someday—or soon!—then you might sometimes worry about how this will affect your firstborn. How will she feel when she’s no longer the center of your universe? Popular wisdom holds that introducing a new sibling is inevitably difficult and potentially even traumatic for the firstborn child. But the truth is that expanding your family can be a joyful experience right from the beginning if you help your little one create a strong relationship with her baby brother or sister—even before the baby is born. Our mission at the Reading Womb is to educate parents about the importance of bonding with babies by starting a regular storytime even before birth. And prenatal bonding, especially through reading aloud, is also the very best way to build strong sibling relationships! By the time your second child comes along, you’ve probably established a regular read-aloud routine. We hope you even read to your first child in utero, and she’s a book lover already! 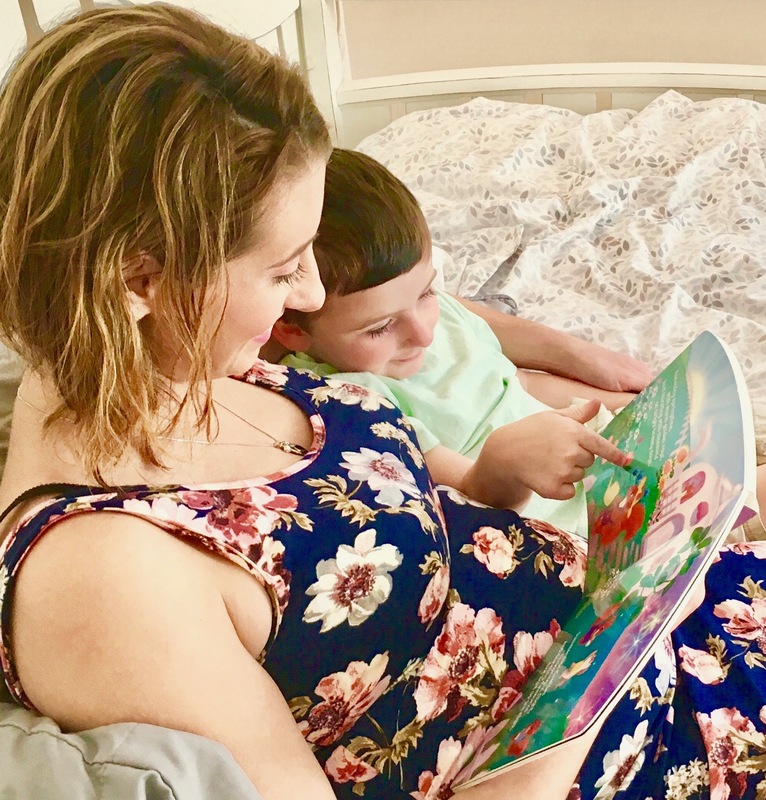 Whether storytime is part of your family’s schedule or not, reading to your firstborn and expected child at the same time is way to continue or ingrain a practice that is integral to successful families. Think about it: you’re sharing with two little ones at once all the joys of language, literacy, and bonding through books, and at the same getting some relaxation time for yourself. Now, that’s multitasking at its best! Research has shown that babies can hear and remember voices from inside the womb during the last trimester—so let your first child know that the baby in Mummy’s belly can really hear her talking. The sibling-bonding magic happens when your child actively joins in the read-aloud with you. She can repeat some of the lines from the story after you read them, or even read some words herself if she’s old enough. Meanwhile, you can help her describe the pictures to the baby and add her own details to the story. 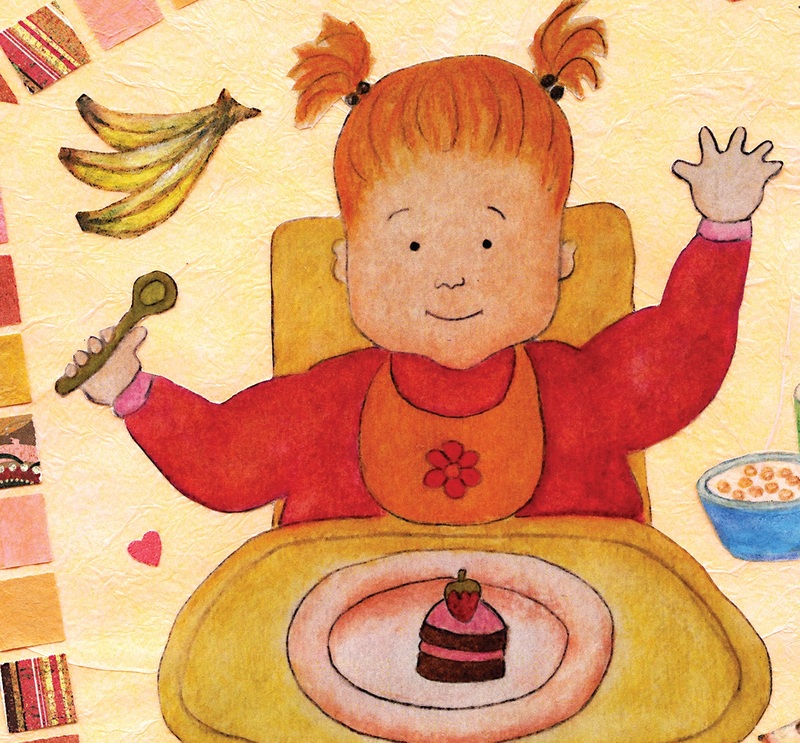 We can’t resist sharing a glimpse of the “second sibling” in the Belly Books collection! 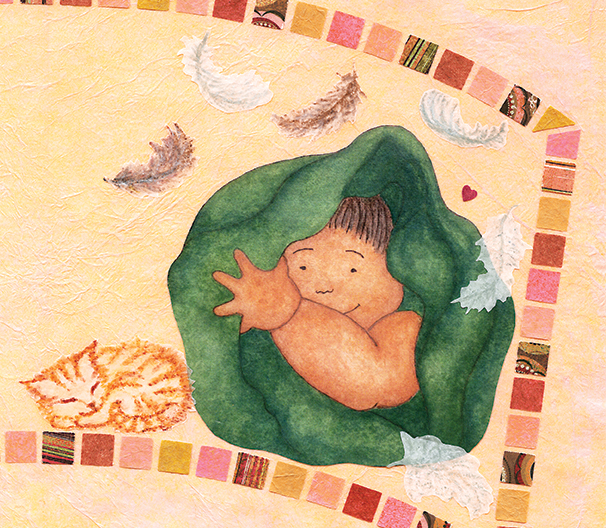 Hey, Little Baby was created specially for little ones to welcome a new baby brother or sister into their world. 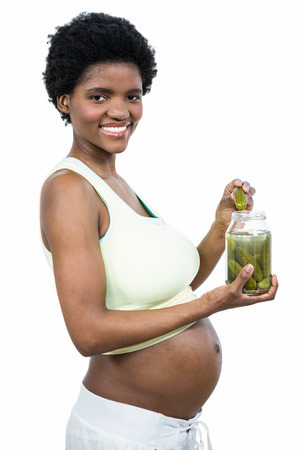 By telling the baby-to-be about all the fun they’ll have together, your firstborn will develop a sense of excitement about the upcoming birth—and a feeling of companionship that will ease the adjustment. There are so many benefits to both grownups and children from family storytime, even just 15 minutes a day. Setting aside this sacred time to share the joys of language and story is a beautiful way to just be together as a family. And if you establish daily reading time with your first child, then when the new baby finally arrives, this will continue as an expected and comforting routine as you all settle into life as an expanded family. Goodbye, sibling rivalry—hello, sibling revelry! We are so excited to announce a giant step forward for prenatal storytime. 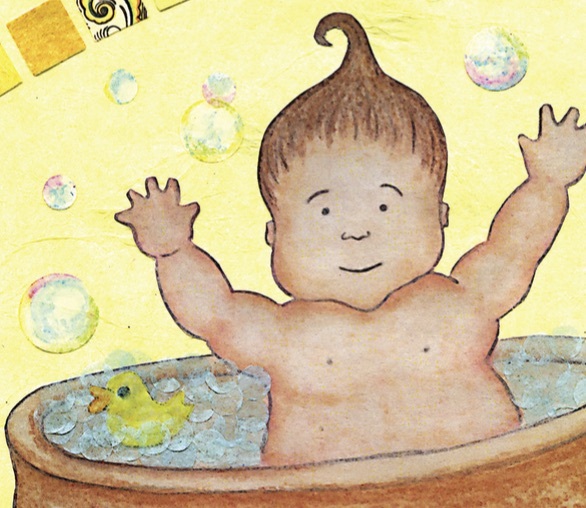 The Belly Books collection, the first family of board books to read to babies before birth, has found a new home (and what a cozy and colorful one it is!) at Cottage Door Press. 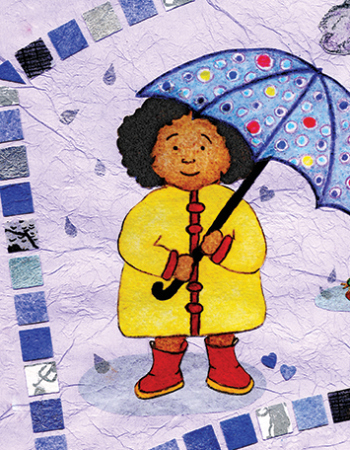 Cottage Door Press is devoted to promoting early literacy through its Early Bird Learning Guide™. 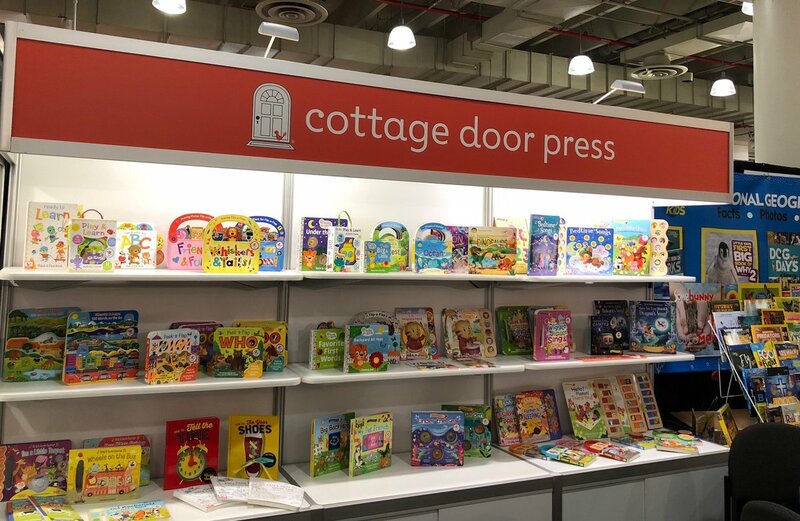 Voted by Publisher’s Weekly as one of the fastest-growing independent publishers of 2017 and 2018, Cottage Door produces a vast array of beautiful board books for babies from birth (and now even before birth!) to three years. Cottage Door is kicking off the Belly Books collection with two titles. The first is a brand-new edition of our original Can’t Wait to Show You, now stunningly illustrated by Laura Horton. Just look at these scrumptious colors! 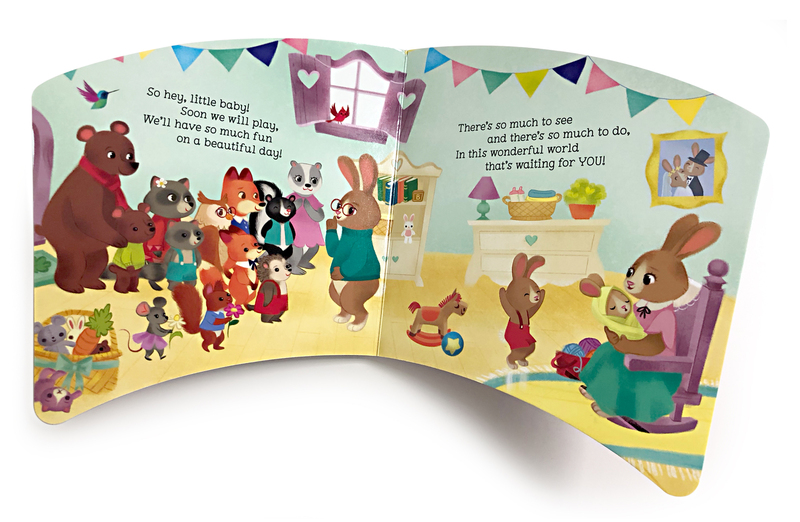 And we’re thrilled to welcome the next member of the family, Hey, Little Baby, specially created for big sisters- and brothers-to-be to read to the expected baby! 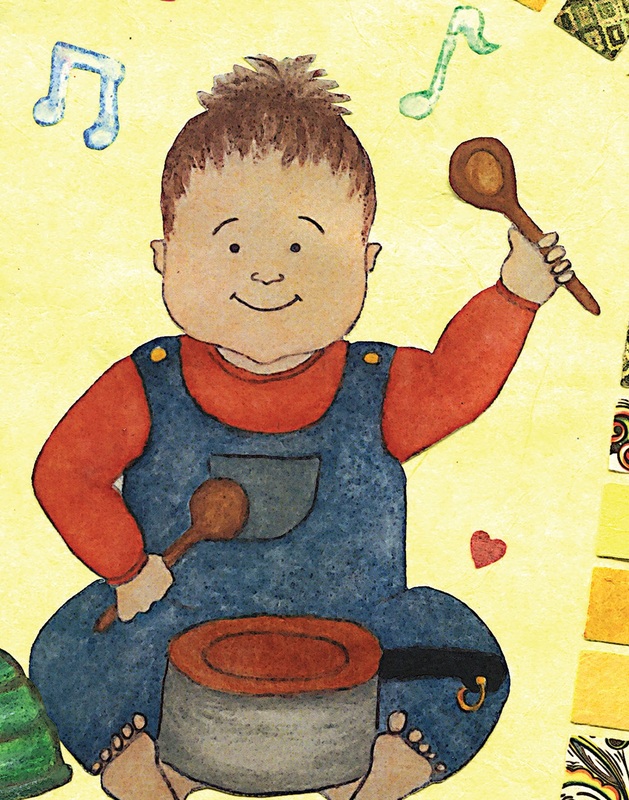 The adorable illustrations by Roxanne Rainville will get little ones excited to share their world with the new baby, and at the same time the baby in Mummy’s belly will be listening to the fun rhythm and rhymes. 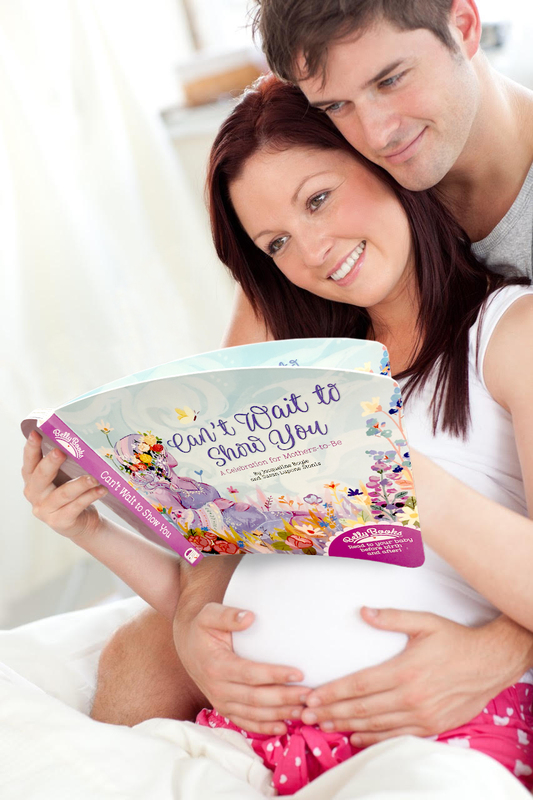 Upcoming Belly Books will be specially designed for Daddy, Grandma, Grandpa, parents expecting twins . . . and the list will go on and on. The Early Bird Learning Guide is a system to help parents understand which skills they’re reinforcing when they read a Cottage Door book to their baby. 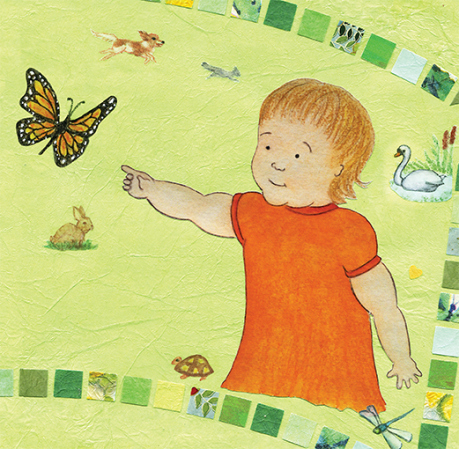 The guide is based on widely accepted milestones of childhood development and corresponds to the removable sticker on the front cover of each of its books. Belly Books is joining the Family category, whose motto is “Story time is family time!” Among the benefits of this category listed in the Early Bird Learning Guide are that it “strengthens family bonds, supports a literate home environment, creates lifetime memories . 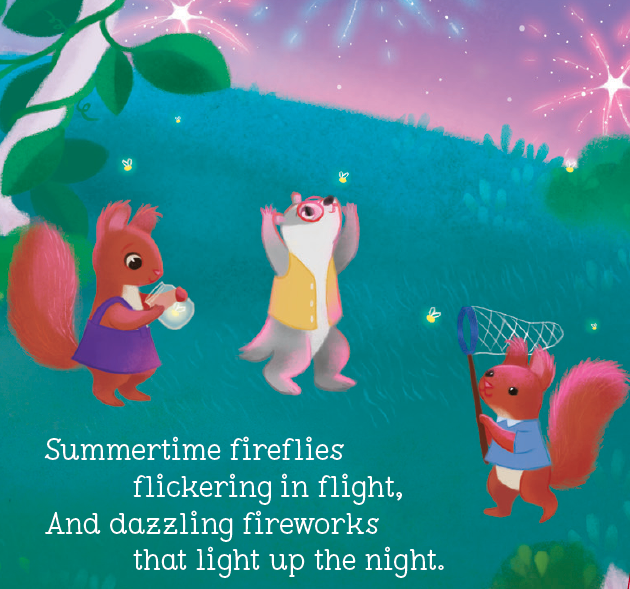 . . and reinforces language patterns” — those family-storytime benefits we at The Reading Womb are so passionate about! To have the support of this distinguished, literacy-centered publisher is such an honor for us as authors, but even more importantly, it’s a sign of the growing understanding that the baby in the womb is already an alert and responsive member of a young family. And it means that Belly Books, so perfectly designed to invite expectant parents to try this new practice, will be able to reach pregnant women and their partners, children, and extended families worldwide. We couldn’t be more proud and delighted to be working with the lovely and talented people at Cottage Door Press. Check out their fabulous Stories from the Cottage blog, and watch their Instagram account for the Belly Books takeover in August!